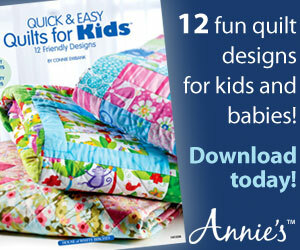 I have always wanted to learn to machine sew, so I could start making quilts. Sure, I could quilt by hand, but there's just no time for that in my life. Funny thing is, I finally bought my first sewing machine, and the only thing I have ever made is clothing! So, I finally decided to change that. 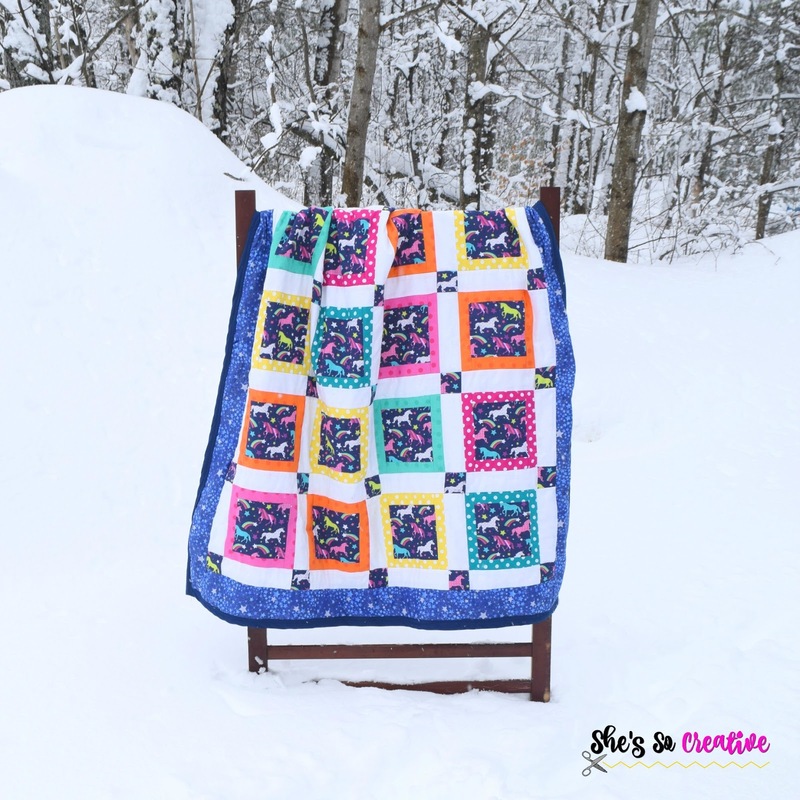 I love the look (and the history) of log cabin quilts, so naturally, that's where I started. However, I did go with a more modern look. I made an all cotton top, used flannel instead of batting for the middle, and backed it with minky fleece. Note: Most of my fabric came from Joann Fabrics and Craft Stores. Some of the colored with polka dots fabric were fat quarters I found at Walmart. Cut Fabric G into 2 - 40 x 3.5" strips and 2 - 49 x 3.5" strips = set aside. 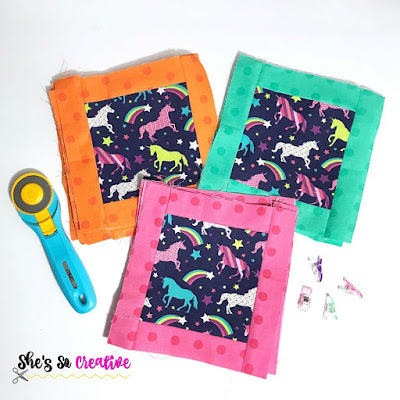 Take 5 squares of Fabric A/Main Squares and Fabric B/Frames: Sew the short strips to the top and bottom and then the long strips on each side. Repeat with all squares. 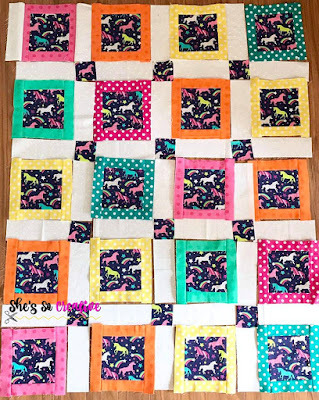 Now repeat these steps with all Fabric A/Main Squares and Fabric C, D, and E/Frames. 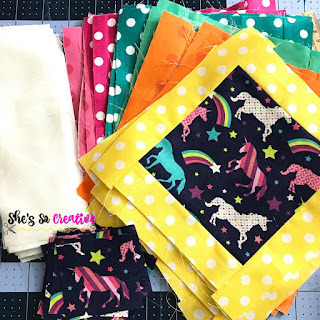 Take Fabric A/Cornerstones and sew to the short end of the Fabric F/Sashing, sewing another cornerstone to the other end of the sashing; Repeat alternation of cornerstones and sashing, so there is 5 cornerstones and 4 sashes. Make 6 strips. Take remaining Fabric F/Sashing, sew one strip to each side of square 1, then sew square 2, then another strip of sashing, then square 3, then another strip of sashing, then square 4, then another sashing. This strip is complete. 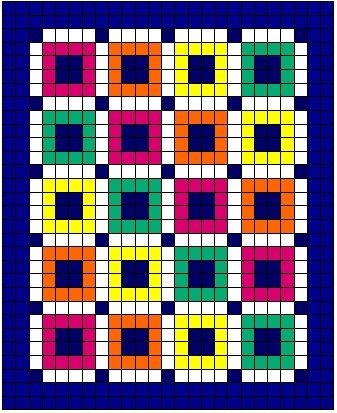 Repeat with other main squares, in whichever order you prefer your squares to appear in your quilt. Make 5 strips. Now you will sew your strips together: Sashing and cornerstone strip at the very top, then a sashing and main squares strip, then another sashing and cornerstone strip...etc. Repeat until all strips are joined. Take one short border strip and sew across the top. Take the other short border strip and sew across the bottom. Trim off access. Take one long border strip and sew to the side. Take the other long border strip and sew to other side. Trim off access. Voila! Your top panel is done. Next, lay your top panel onto your flannel and cut to size. Repeat with Minky. If your minky is not wide enough, cut in half, turn sideways, and sew two panels together (this is what I did). Now, stack your layers: Minky with right side on the table, flannel either side down, then top panel with right side facing up. Make sure they are stacked properly, then slowly peel back the flannel to about halfway and spray basting spray between the flannel and minky. Lay the flannel back down and flatten, so it's perfectly back in place. Next spray basting on top of flannel and lay the top panel back down, flattening it back out. Now repeat on other end of blanket, folding the flannel and top panel back to halfway, spray, lay flannel back down, spray flannel, lay top panel back down. 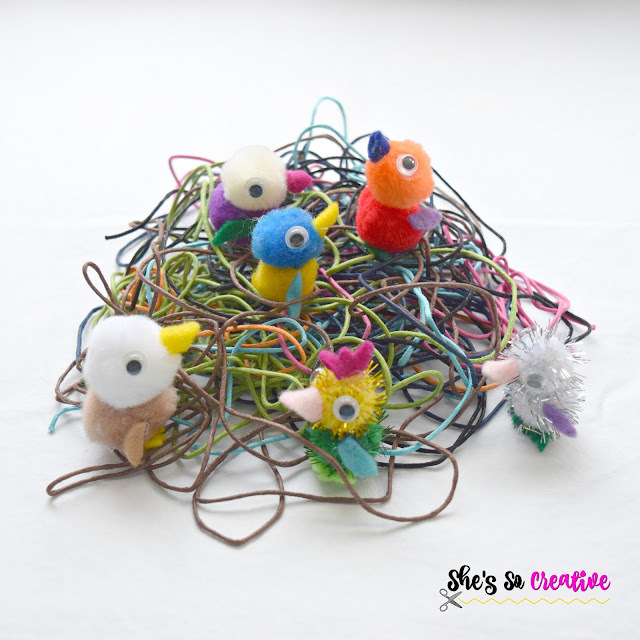 Now you're ready to pin and sew. Note: The basting spray does hold your layers together, but I still like to place a few pins throughout, just to make sure it stays. For my quilt, I chose to "stitch in the ditch", which means I went around the top panel and sewed into the seam lines. 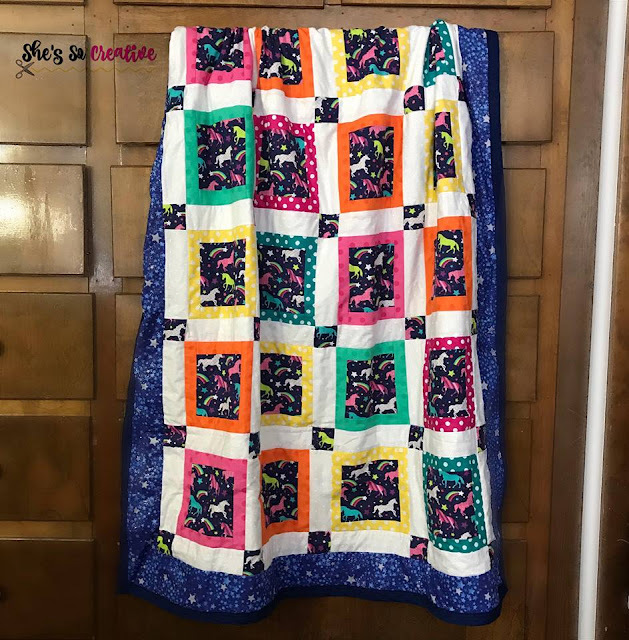 I did not follow every seam line, instead I followed around the inside of the border, then I went around the colored squares, both the long way and short way. You really just need enough stitch lines to permanently seal your layers together. Cut 1 strip of 50" and 1 strip of 40" from each double fold bias tape (2-50" and 2-40" total). Sew the 40" strips across the top and bottom, making sure to enclose all layers of the quilt. Trim excess off the edges. Next, pin a 50" strip on one side, trim excess to 1/2" overhang on both the top and bottom, fold the 1/2 overhang inside the bias tape, and sew the binding in place. Repeat with other side. Here's my finished quilt, what do you think? Comment below and let me know! 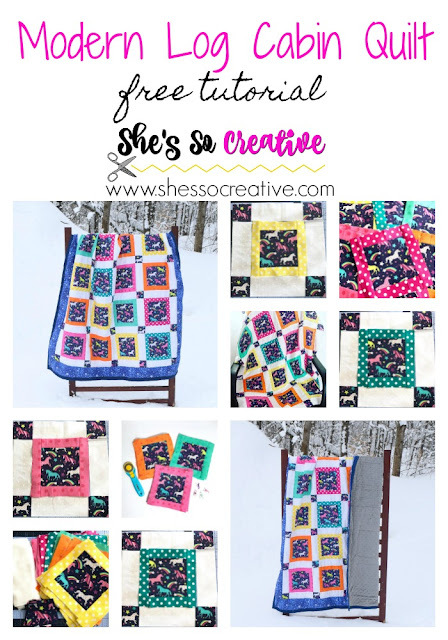 I hope this tutorial was easy to follow and you are able to yield a beautiful quilt too! Thank you for crafting with me today! 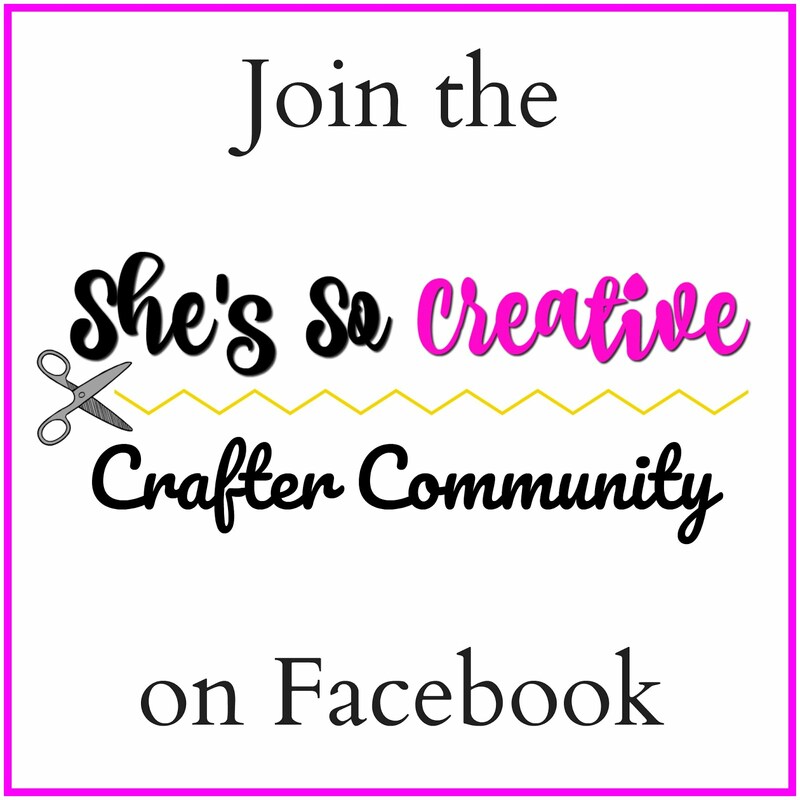 I'd love to have you join the She's So Creative Crafter Community on Facebook! Come on over and show us what you're working on! Can't wait to make this, have the perfect materials for it. You make the instructions so easy to understand. Thank you. Thank you so much! That's a wonderful compliment! 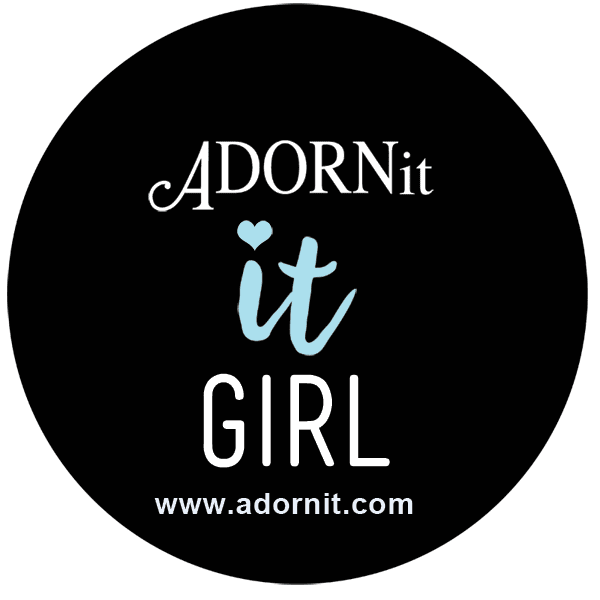 Please feel free to share your finished projects with me! I really love this project.. I want to make some gilts for my greatgrandchildren. This will be great.. Yes! 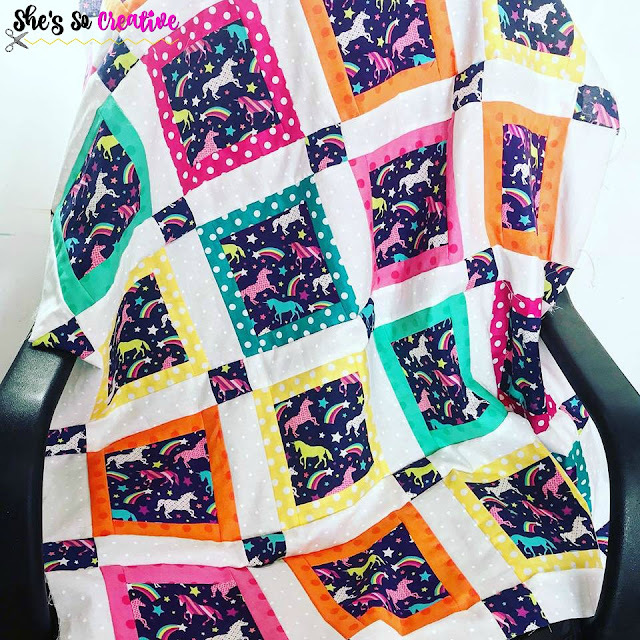 My daughter is in love with this quilt!